New for 2019, taking all the best parts of the Warpig and making it into a twin asymmetrical park board. 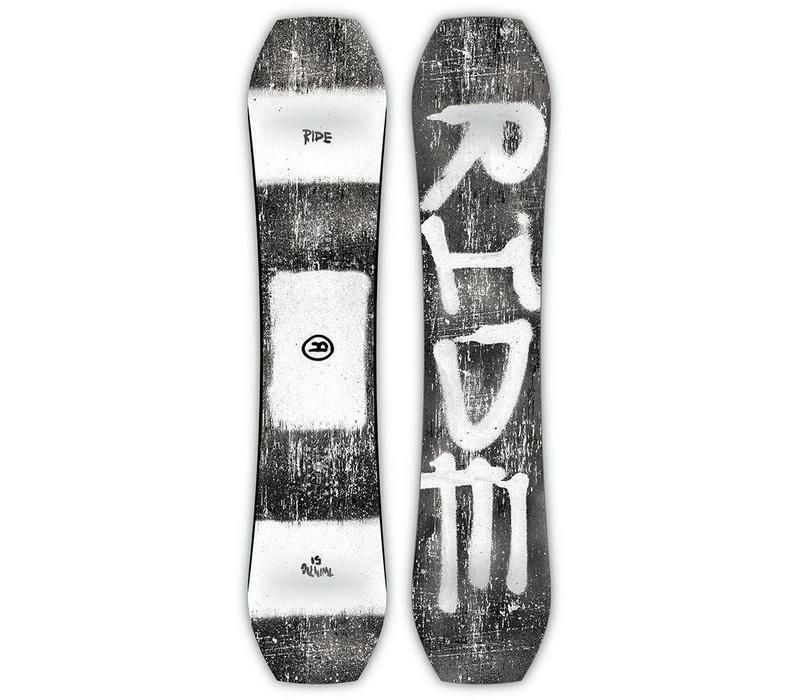 The Ride Twinpig is a new board for 2019, that takes parts from the super popular Warpig, and turns it into a twin and asymmetrical park board. With the wider width, you still ride it shorter than your regular board, which keeps it quick and manoeuvrable, and easy to spin. All the fun from the Warpig, in a softer flexing twin board! 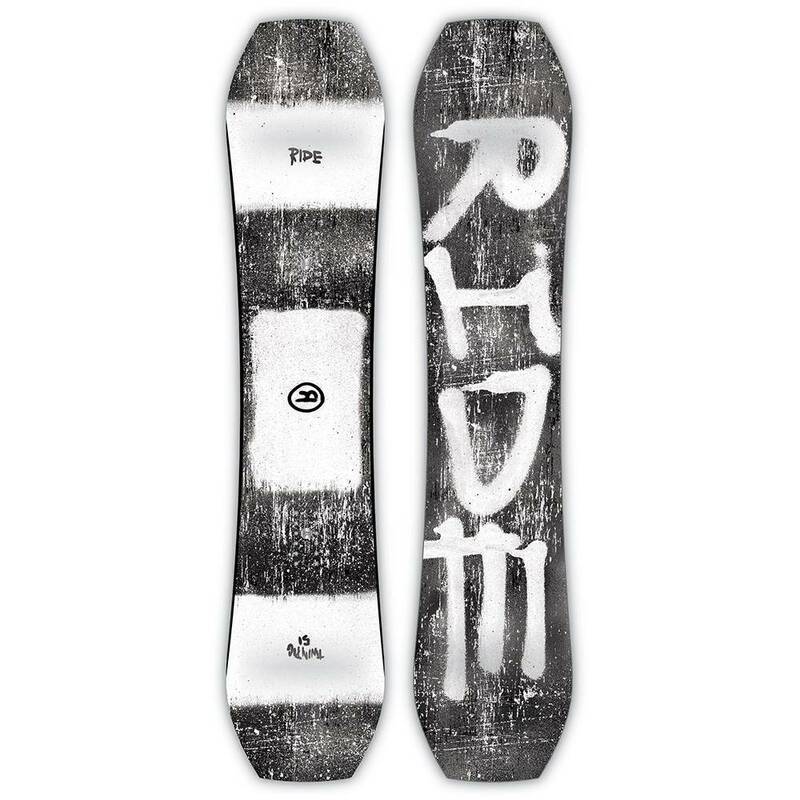 Rocker on the nose and the tail of the board keeps it forgiving and fun, while the camber under your feet gives you stability, pop and strong edge hold when the snow is hardpacked. The medium soft flex means you can press and tweak the Twinpig easily, but it still has enough strength to handle hard and fast riding. Ride it forwards, backwards - it will be just the same. With the asymmetrical design, it has a specific heel side, which makes your turning between your toes and heels feel very smooth and natural. Tip to tail Aspen wood core. A tough and reliable base material, that is easy to repair if you do damage it. Roll-In Slimewalls: A RIDE exclusive, incorporating Urethane sidewall technology to absorb impact and make for a smoother ride. These are also the most durable sidewalls in snowboarding, meaning you can really thrash them, and they will hold their own. Roll In Slimewalls: Fiberglass structures that surround the built-in Slimewalls to increase durability, including top sheet, chipping, and keep the weight down. Hybrid Glass: A combination of Triaxial and Biaxial give the perfect degree of flex and stiffness. The result is a board that better handles speed.